October usually means Halloween for most people — pumpkins, witches, ghosts, and the like. In mid-October, U.S. government workers get the day off for Columbus Day (Oct. 12). What is often overlooked in this month of ghouls and explorers is the anniversary of one of the most important events in the English-speaking world: 1066 and the Battle of Hastings. 1066 — it’s a year that’s beaten mercilessly into the heads of every school child throughout the English-speaking world and then some. 1066 and all that with Anglo-Saxons and Normans battling it out for control of England in the epic Battle of Hastings. It’s the best known and yet least known turning point in English history. There are no movies, Shakespeare plays, or novels of any note on the subject despite there being plenty of material for such. It’s as though the fame of the event ensured its obscurity. Lethargic academics of yore wrapped 1066 into a nice, neat (not too mention: boring!) package which most people take for granted that they know what’s on the inside without bothering to actually look. For many 1066 is the start of English history proper. All that stuff before 1066 — Celts, Romans, Arthur, Alfred, Vikings, etc. — has been regulated to the files of the historically unimportant and immaterial. Anglo-Saxon history suffered the worst in this regard with only Alfred the Great getting any lime light. It's almost presented rather offhandedly like "Battle of Hastings - Normans and Anglo-Saxons - fight, fight, fight - Normans won and then everyone became very British. Tea?" The main important fact to take away from 1066 and the Battle of Hastings is simply that the Anglo-Saxons lost and the Normans won due to their overall superiority. Pencils down. The names of the major players (mainly two) at the Battle of Hastings are well known. There’s the winner — William the Conqueror — and there’s the loser — Harold Godwinson who got an arrow in his eye for all his trouble. What is often overlooked is that William was actually Guilliame. He was a French-speaker while Harold’s English would have left a lot of modern English speakers today baffled. And that is just scratching the surface of this far more complex and (surprisingly) fascinating story. William as the story goes was promised the English crown on the death of the old king, Edward the Confessor. The crown was given to the Earl Harold Godwinson instead in a shocking display of medieval democracy. William under the laws of the day felt his thin relationship to the old king and the king’s unsubstantiated promise gave him the righteous authority to take the crown by force. In today’s time, William’s claim wouldn’t pass a grand jury but in those days of divine right and kinship, it was enough to secure William support financially, militarily, and spiritually. 1066 and all that was actually quite complex despite the attempt to oversimplify the whole affair. 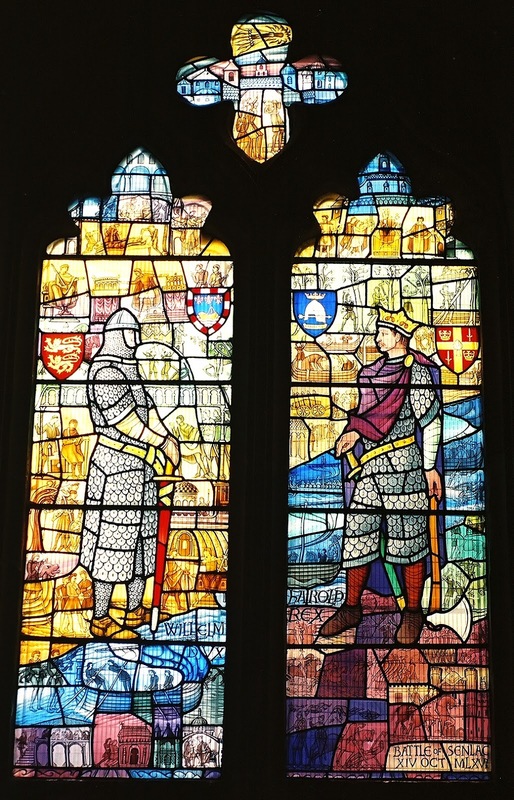 For one thing there was not one great battle that year but three — the two earlier battles having had significant impact on the outcome of the one at Hastings. 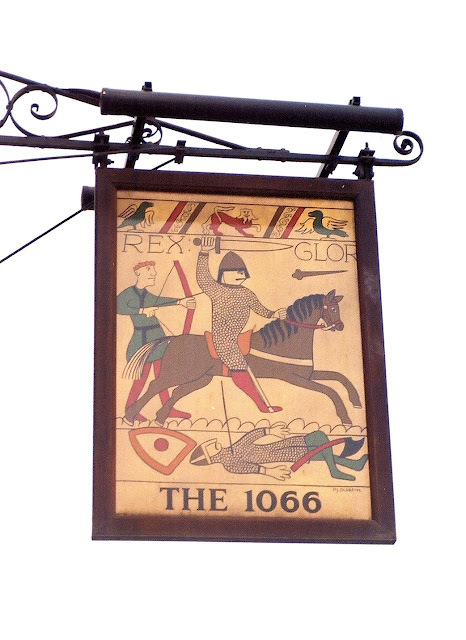 To understand 1066, it’s important to go way back to 1016. 1016 England witnessed a Scandinavian invasion that ended with a foreign king upon the English throne. The Anglo-Saxon king was dead and the heirs were in Normandy. It was there that the future king, Edward the Confessor, grew up until he was called back to England after the death of the Scandinavian king and his two sons. Edward was more Norman than Saxon in upbringing and parentage. His mother had been sister to the Duke of Normandy, William’s grandfather. Edward allegedly promised William the crown in return for Norman hospitality while he was there in exile. While Edward whiled away his exile in Normandy, a powerful earl came to power under the Scandinavian kings. This was Godwin, the father of Harold. Godwin was a power to be reckoned with when Edward came to the throne. Edward’s nomination of several Normans to key position kicked up a row with Godwin’s faction that ended with the Normans being expelled. Against his will, Edward married a daughter of Godwin to maintain the peace. It was believed that Godwin had arranged the murder of Edward's older brother years before when he pressed his claim to the English throne. Edward's dislike of Godwin may be the reason he choose to be celibate to cheat Godwin of a grandson who would have been king. Despite his feelings for his father-in-law, Edward liked his brothers-in-law who were actually young enough to have been his sons. Particularly he liked Harold and his younger brother Tostig. When Edward died he is said to have entrusted his wife and his kingdom in Harold’s capable hands. Harold had been practically running the affairs of the country for sometime anyway while the otherworldly Edward devoted his time to spiritual matters and erecting Westminster Abbey. Although Harold had no royal blood, he was elected by the English council to be the next king in January 1066. Here was a king of English stock, elected by the English, and supported perhaps by more of the country than many kings before him. Harold might have ushered in a new golden age of prosperity and unity if not for two other men with claims to the throne and for the sticky matter of an oath he made some years ago to one of them. Across the channel, William the Duke of Normandy was absolutely furious. He had believed he would be named king. He after all was related to the last king (albeit distantly) and he had a promise (albeit vague) from that king. If the promise and kinship weren’t enough, William had another ace in the hole — he had the sacred oath of Harold to defend his rights to the English crown. Some years earlier, Harold wound up shipwrecked in Brittany and taken captive. William graciously paid for his ransom and later pressed Harold to make an oath swearing allegiance. What Harold didn’t know until it was too late was that he had sworn the oath on sacred relics that William had hidden beneath a cloth. Today that oath would be thrown out of court for being both coercive and dishonest. However in medieval times, oaths were strong bonds especially those sworn over sacred relics. It was enough to paint Harold as a profane oath-breaker and an usurper. Harold and the English were little perturbed by this. They did not want a Norman king and that was final. The oath to them was of little worth due to the circumstances surrounding it. They showed an amazing amount of progressive thinking while the Normans looked like superstitious savages in comparison. Did the upcoming Battle of Hastings really move England forward as historians of the past long proclaimed? Or was it really a setback? Very well written and informative, sir! There were a lot of things in this that I didn't know, and most regular people don't either.